I really miss graphic design, most particularly playing with typography and words. So I thought I would post some inspirational or just thought provoking 'word' related posts every Wednesday. I came across this post on tumblr, they are words that give you comfort through the times you are praying your hardest but your dua's (prayers) are not being answered. 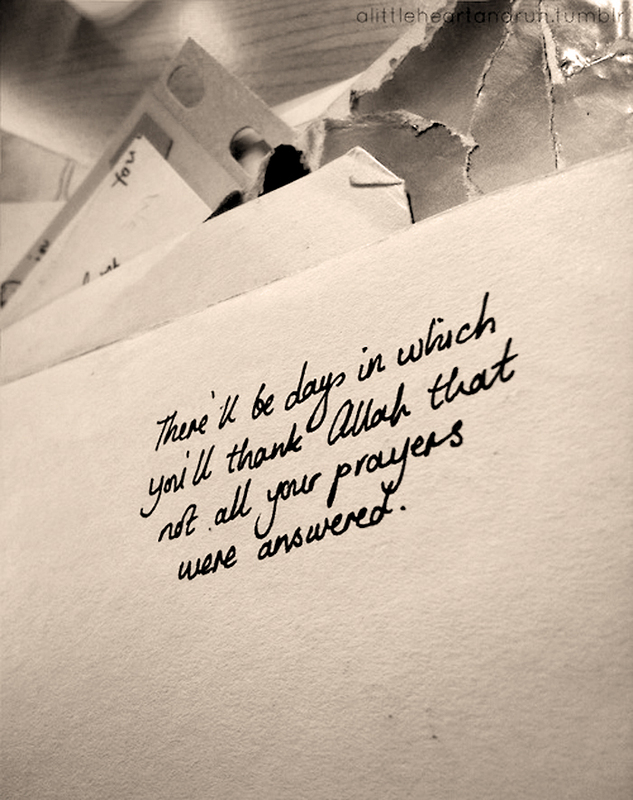 *according to some authentic ahadeeth, there will be that day. And that day is the Day of Judgment. These unanswered duas will pile up to save you. Like a Golden Ticket.